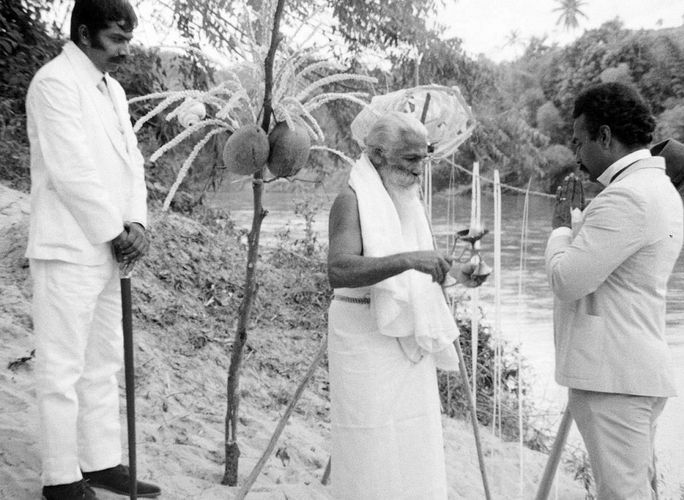 Voted as the best Sinhalese film of the first 50 years of cinema at Sri Lanka’s Golden Jubilee of Independence, Nidhanaya is one of Lester James Peries’ most widely acclaimed films. Based on a short story by G.B. Senanayake, the film is about a young man who finds an old manuscript describing a king’s treasure hidden in a cavern. But this manuscript also calls on him to first find and then sacrifice a young girl. A dark allegory of Sri Lankan’s social and political system, the film departs from Peries’ characteristically quiet, observational family dramas. Nidhanaya was long thought irretrievably lost. But in early 2013, a copy was discovered. Through a joint effort by the World Cinema Project, National Film Archive of India and National Film Corporation of Sri Lanka, the film has been restored.